Jury selects six books in contention for the world’s most lucrative award for historical writing. 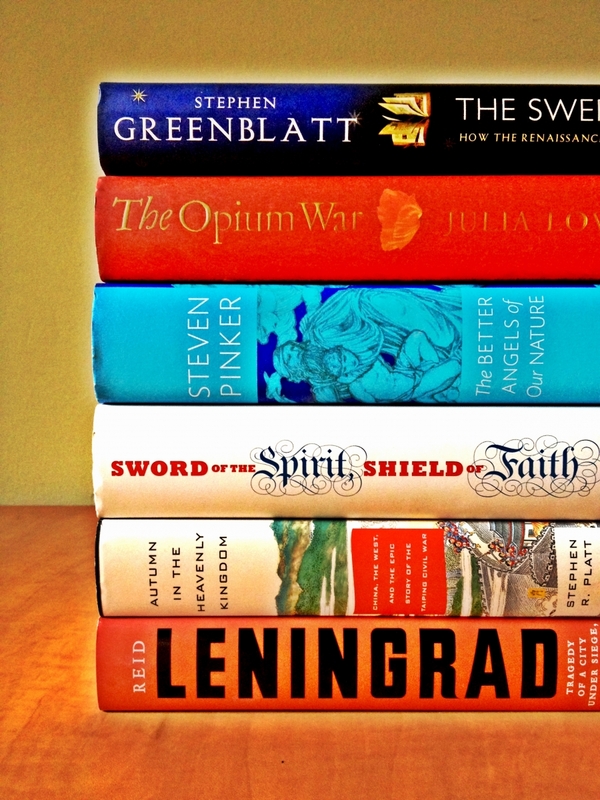 The 2012 Cundill Prize in History at McGill jury has announced its long list of contending books, selecting six from among 143 works submitted this year by publishers from all over the globe. The competition, now in its fifth year, features a $75,000 U.S. grand prize, representing the world’s most lucrative international award for a nonfiction book. The Prize, now in its fifth year, accepts published books in English – or translated to English – in the area of history. In addition to the grand prize, two “Recognition of Excellence” awards of $10,000 U.S. each are granted to the runners-up. The grand prize winner will be announced at the Cundill Prize Awards Ceremony on Thursday, Nov. 29, in Montreal. This year’s Cundill Jury includes Garvin Brown, Executive Vice President of Brown-Forman Corporation; Charles R. Kesler, senior fellow of the Claremont Institute, editor of the Claremont Review of Books; Vanessa Ruth Schwartz, Professor of History, Art History and Film, University of Southern California, and The Globe and Mail's national affairs columnist Jeffrey Simpson. The Cundill Prize in History at McGill is the world’s most important international nonfiction historical literature prize. It was established in 2008 by McGill alumnus F. Peter Cundill, who passed away in January 2011. The prize is administered by McGill University's Dean of Arts, with the help of the McGill Institute for the Study of Canada (MISC).